Bugatti opens its largest showroom in the world in Dubai, UAE, while its star attraction – the new 1479bhp Chiron – begins its regional tour. We cannot display this galleryIt’s the showroom entrance that hints just how palatial this new showroom is going to be. The arch over the doorway stands 4m tall, is fashioned from meticulously polished stainless steel, and is designed to mimic the ‘horseshoe’ found on all Bugatti front grilles, demonstrated further by the Bugatti ‘macaron’ logo hanging underneath. To the left of the entrance stand three wall-mounted ‘stele’ pillars commemorating both Bugatti’s 108-year heritage and the brand’s core values, namely Art, Forme and Technique. 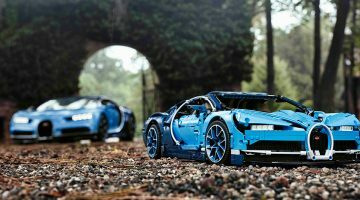 Perhaps most eye-catching though – aside from the very-blue, leather clad carbon fibre armchairs – is the horizontal communication strip through which the elite may customize their new purchase beneath anodized aluminium light fixtures developed alongside the cars themselves. Within a matter of moments, you’re left in little doubt that this newest addition to the Bugatti dealership network – only the 15th in total – is the largest and grandest of them all. Impressive stuff, certainly, but ironically, that’s not what we’re here to see today. That would be the 1479bhp, $3.2 million Bugatti Chiron currently standing in the main entrance. It’s one of 30 examples that have already been earmarked for Middle East customers via Al Habtoor Motors from the original 500-unit production total. Initial test drives have been and gone in both Europe and the USA, but this is the first time we’ve come nose-to-grille with the Veyron’s successor in the Middle East. And it’s fair to say, Bugatti’s new wunderkind has lost none of its impact since the silks were dropped at last year’s Geneva Motor Show. It’s stunning. Peel back the super-thin, super-strong carbon fibre bodywork and you’ll find essentially the same 8-litre quad-turbocharged W16 as used on its predecessor, though Bugatti-pin wearing reps at today’s event are adamant the new Chiron is much more than a Veyron with the dial turned to 11. It has to be, quite honestly, more ‘seductive’ than the lukewarm character imbued by the rampantly fast Veyron designed for high-net worth company executives. Consequently the looks have been tweaked to be more ‘dynamic’, complete with a sweeping arc down each flank, those ‘eight-eyed’ headlights, and the enormous rear wing that doubles as an airbrake a la the McLaren P1. 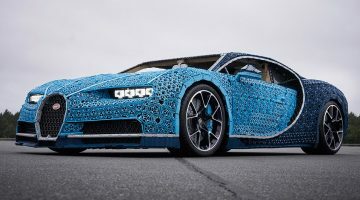 The technical intricacies underneath are enough to give you a migraine, so let’s just say the carbon brakes – complete with revised heat-shielding – are now 20mm larger, the adaptive chassis optimises dampers, ride height, steering and the aerodynamics to full ‘holy crap’ effect, and the Chiron’s structural rigidity is within touching distance of an LMP1 Le Mans prototypes. Unsurprisingly, new benchmarks have been hit regarding power. Most of the W16’s internals are all new, Bugatti engineers unwilling to dip into the Veyron spares part bin for their new flagship. The turbos for instance are now much larger than those found on the Veyron, while everything from conrods to pistons have been made simultaneously stronger and lighter. The Chiron’s 1479bhp peak is 296bhp – or one Volkswagen Golf R – up on the Veyron’s most recent 1183bhp. Torque meanwhile bounces up to 1600Nm (1180lb ft) and is sent to all four-wheels, meaning performance is similarly mind-blowing: 0-100kph is done in 2.5 seconds, 0-200kph in 6.5 secs, and 0-300kph in barely credible 13.6 secs en-route to a limited 420kph top speed. Remove the limiter and the Chiron will theoretically grab 450kph, though only for a very brief moment before heat and centrifugal force threaten to rip the bespoke Michelin Pilot Super Sport Cup 2 tyres completely from their 20in/21in rims. 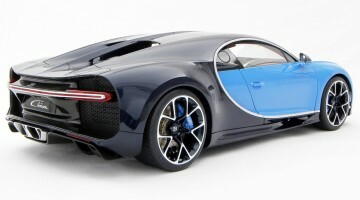 A more fitting star for Bugatti UAE’s new showroom it’s harder to fathom, and it does make us wonder how long it’ll be before we see those ‘more seductive’ 30 pre-ordered models on the road in the Middle East. Or indeed how long it takes us to get out of this ‘horseshoe’ sofa. Dr Stefan Brungs was right. It really is stupidly comfortable. Enjoy this Bugatti showroom / Chiron news story?